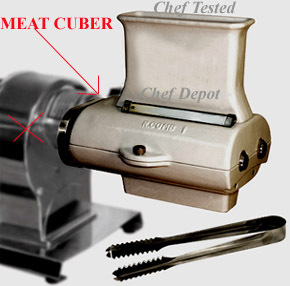 This powerful meat saw offers years of dependable service, making cleaning and processing meat easier. Perfect for hunters and farmers. Its 9 5/8 in. throat has an 8 1/2 in. 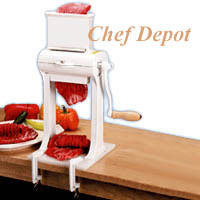 cutting capacity, accommodating large pieces of meat. 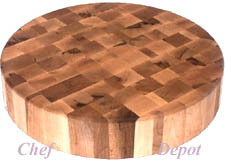 Includes a 4 1/2 in. mouth, 2 1/4 in. 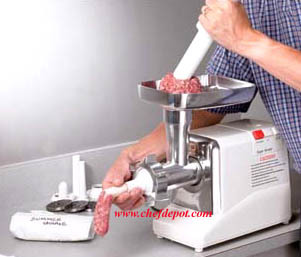 throat for sausage and hamburger grinding! 110 volts, 175 lbs, Ships knocked down, easy assembly required. 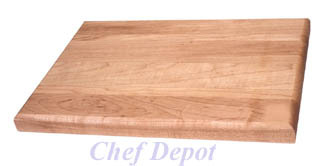 Oversized semi delivery, adds $75.00 shipping to most areas of Cont. USA only. 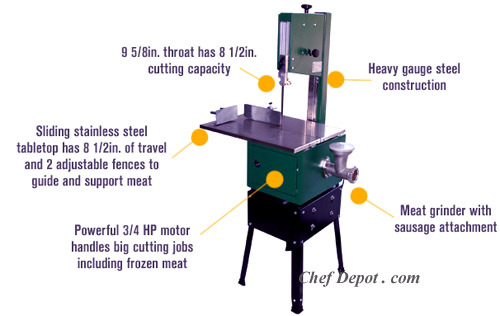 Powerful 3/4 HP motor handles big cutting jobs, including frozen meats. 9 5/8 in. throat has an 8 1/2 in. cutting capacity. Measures aprox: 22 7/16 in. L x 17 5/16 in. 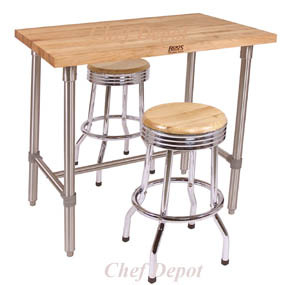 W with sliding stainless steel tabletop has 8 1/2in. 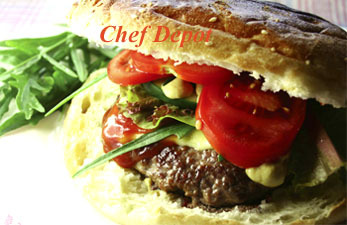 of travel and 2 adjustable fences to support and guide meat for optimum control and safety. 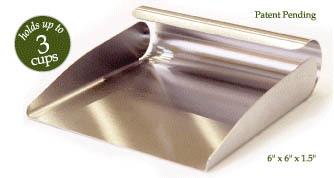 Heavy-gauge steel construction. 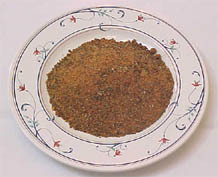 Grinder includes a 4 1/2in. mouth, 2 1/4in. 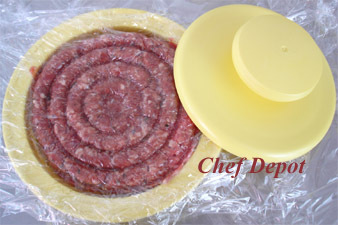 throat for sausage and hamburger grinding. 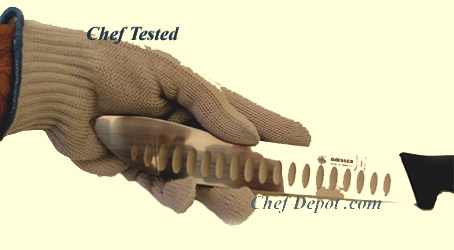 Ball bearing guides support the blade for better control. 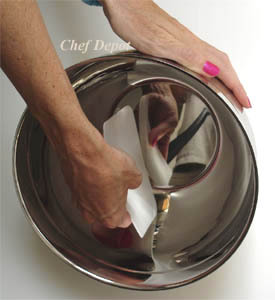 Catch tray for easier cleaning. Extra blades are avail. 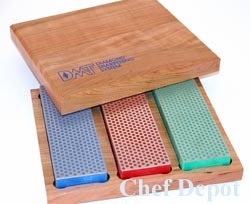 Chefs Notes: Great saw for deer, hogs, beef and chicken processing. 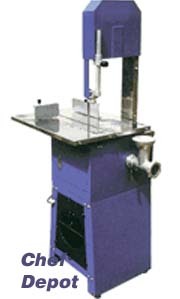 The compact but powerful Meat and Bone Saw has a 550 Watt motor and a maximum cutting width of 9 7/8 in., maximum cutting depth of 9 7/16 in., Blade speed of 15.55 feet per second, features a 5/8 in.W x 82 in.L saw blade! 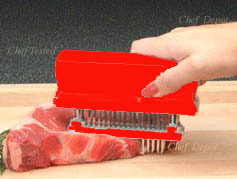 It also has a built in meat grinder! 121 lbs, Ships knocked down, Assembly Required. FREE shipping to most areas of Cont. USA only. 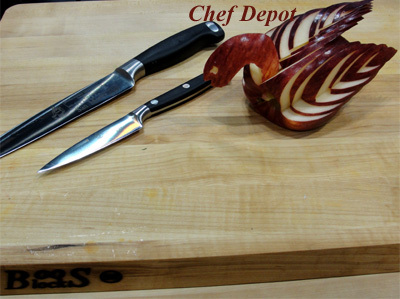 Chefs Notes: I would highly recommend this saw to a friend if they like cutting up there on meat because it is very sturdy and really does cut the meat up like it should and at a good price, I have had my saw for about a year now and i am really happy with it. So if you want a good saw to cut up your meat this one is the way to go (Tom in KY). 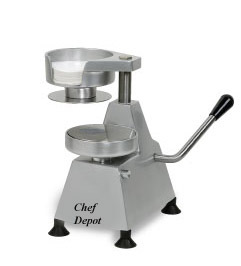 This Grinder can handle over 175 lbs. of meat per hour! 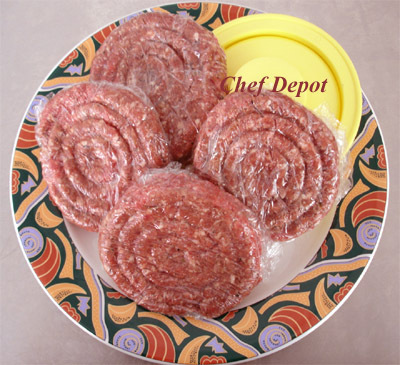 Easily grinds venison, pork, beef, poultry and vegetables or other foods into burgers, meat loaf, sausage and more. 110 Volt, 800 Watt motor (aprox. 1 HP) has on/off and reverse switch. 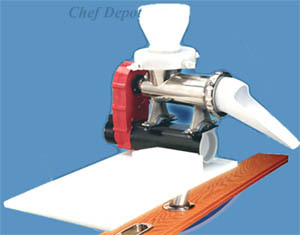 Fine, medium and coarse plates, stainless steel cutting blade and sausage stuffer attachments are included. 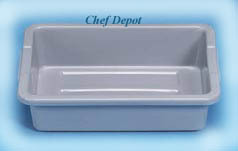 Internal parts are all metal, solid steel gears, Large Stainless Steel Tray. Ship Wt. 15.0 lbs. Detail operating instructions and diagrams included. 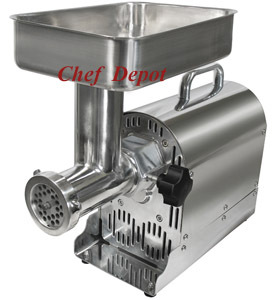 Our Meat Grinders are all new, factory sealed units! 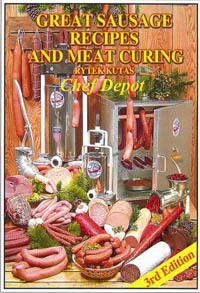 More Meat Grinders & Sausage Making Supplies are on sale! Click Here! 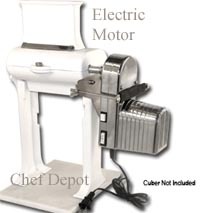 Click Here for Food Processors & Ice Cream makers! Turn your bait fish into an effective Chum Slick in seconds! Simply drop bait fish in the hopper and flip a switch for fresh chum instantly. 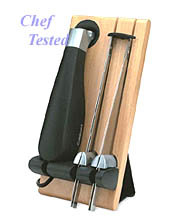 Assembles in minutes & mounts easily into most standard rod holders. Catch big fish fast! 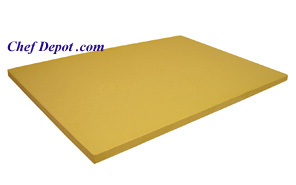 Heavy Duty, Corrosion Resistant Construction. Powerful 12V DC Permanent magnet motor produces 10-12 lbs. of chum per minute. Sevral models avail. below! Includes: Heavy-Duty 2 piece Anodized Gimbal Pole - for mounting to port or starboard side of your boat. 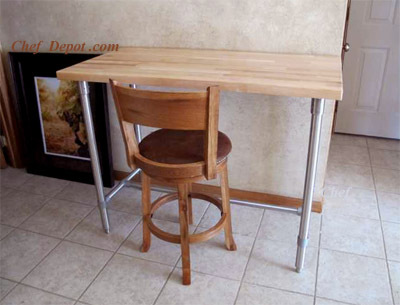 2 piece construction allows for easy storage. Outlet chute - to direct chum either overboard or into a bucket for later use. Contoured shovel - for maximizing chum discharge. 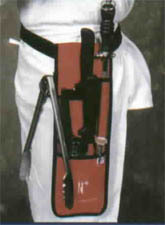 Oversized #32 feed chute & stomper - allows for quick and easy chumming while keeping hands safe from moving parts. 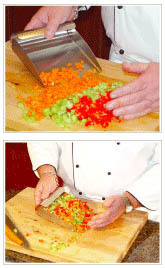 Grinding plates - with 7/8 in & 1 in. hole openings allows you to produce a variety of chum sizes. 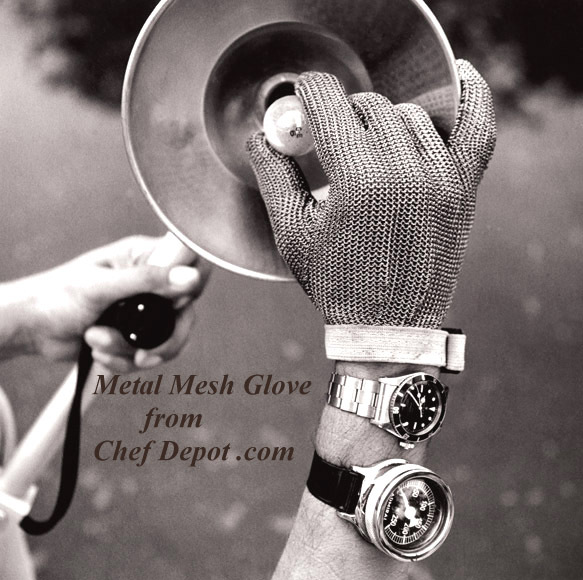 (Constructed of corrosion resistant 316 Stainless Steel for a lifetime of service. 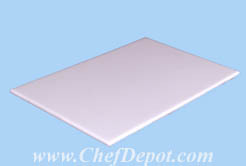 Full-Size 24" x 13" x 1/2" Marine Grade Poly Cutting Board that resists mildew and is UV protected. 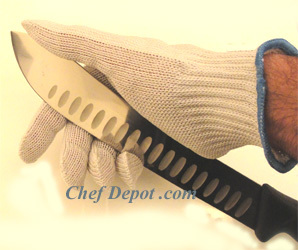 (Includes convenient filet knife and pliers holders) 12 in. x 7 in. Neoprene pouch with hanging strap - keeps your accessories organized and always within reach. 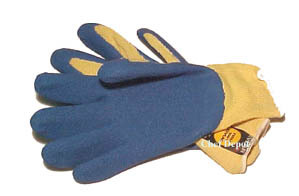 (Includes closed/open end 10mm wrench for quick assembly. Finally a great Buffalo Chopper at a great price! 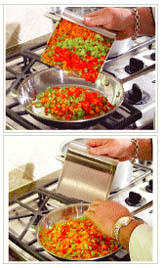 Features a heavy-duty stainless steel bowl cutter with 14 in. dia. 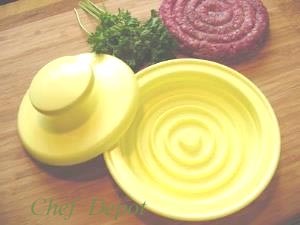 stainless-steel bowl and knives. 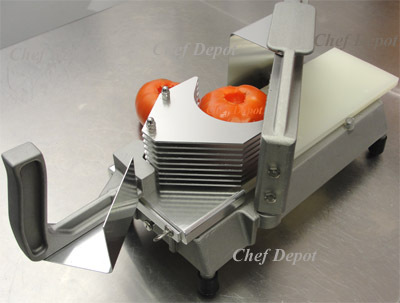 High speed cutting of meats, fruits, vegetable and bread. 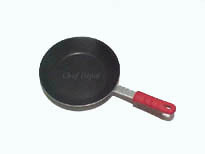 NSF, UL Approved, Std. Voltage: 115 / 60 / 1. Motor: 1/2 HP. Weight is 95 lbs. AMP Draw: 5.4, One year limited warranty. Free Shipping is available in most areas of the continental USA only! 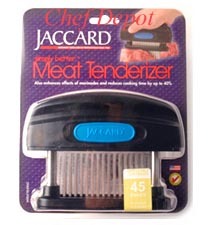 Click Here for Jaccard Tenderizers!